This is the first of three profiles of men who are on schedule to be ordained priests of the Archdiocese of Baltimore in June. Released on Christmas Day in 2012, the latest film version of “Les Miserables” included a Hugh Jackman depiction of Jean Valjean that resonated. Fast forward a year, and to a postcard from Israel, where his brother, now-Father Andrew DeFusco, was on a seminary retreat to the Holy Land. 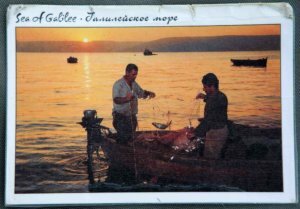 The front is an image of two fishermen with their nets in the Sea of Galilee. On the back is handwriting that the younger brother has memorized. “It’s symbolic of the support and encouragement he’s given through the process,” Deacon DeFusco said of a message he carried in his breviary for years. “We don’t talk every day, but he’s definitely been there for me … whatever the hill or mountain I’m facing. The DeFusco brothers, who will join the Carrions, Fathers Michael and Patrick, as the only archdiocesan priests who are siblings, can attest to the value of parents who visibly practice the faith. Their parents met while undergraduates at the University of Notre Dame in South Bend, Ind. Their father’s work as a chemist took them to New Jersey, North Carolina and then Maryland in 1998, where they settled in at Immaculate Conception in Towson in part because it offered an adoration chapel. His brother wasn’t the only priest who influenced his vocation. Deacon DeFusco first pondered the priesthood as a middle-schooler, a pull that returned while he was studying abroad in Rome, during his sophomore year at the University of Dallas, in his mother’s hometown. 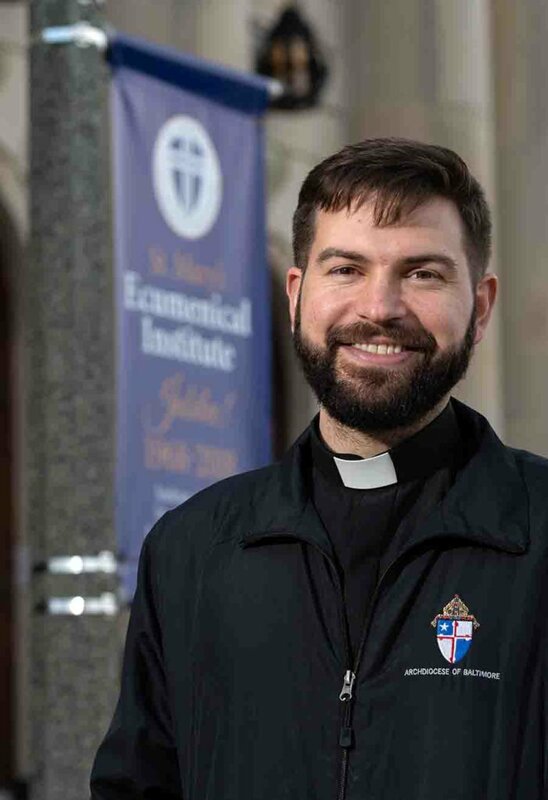 On retreat, he had “a powerful encounter” with the North American College seminarian serving as the chaplain for the Dallas students – now-Father Michael DeAscanis. 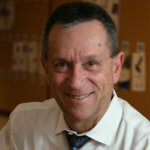 By January 2013, Father DeAscanis was the director of vocations for the archdiocese. Some of those influences were at Immaculate Conception last May 27, the day after he was ordained a transitional deacon, when Deacon DeFusco preached his first homily, but not before being overcome with emotion. “My brother (associate pastor of St. John in Westminster) was the celebrant,” he said. “Father Joe Barr (pastor of Immaculate Conception) was there, as well as others who had mentored and supported me. My little brother, Joseph, was an altar server.